a) replacement bottom system board. Ideally I'm looking for part 25H4883 - that's what I have right now, the one for 25/75MHz 486DX4 CPU, with 8MiB RAM soldered on it. b) HDD caddy or whole HDD assembly in case my attempts to force it out break the current one. If someone can point to a supplier I can buy these from (other than Cygnus Supply - I've already requested a quote from them) I would also much appreciate that. The lower planar is more of a problem. I have probably 6 or so of them, all of which throw off the memory error but in each case the clock battery is also run down. Replacing the clock battery will often remove the memory error. Dead CMOS battery often throws a memory error! I assume it also says 161 and 163 in addition to 201 error? It would yes....time will be set to default. You get the 161/163 first and then after it has done the memory check you get a 201 error with a memory address. Thanks hwattys, I ordered one, we'll see how it works out. Yes, as a matter of fact I do get errors 161 and 163, with CMOS battery discharged. I'll see if those errors go away once I find a CMOS battery replacement. I've read somewhere (can't readily find right now) a suggestion to replace the original NiMH CMOS battery with something else (Li-Ion?) to avoid damage from leakage, do you guys know anything about that? There are two batteries in addition to the main battery. One is in a plastic cover with a pigtail and is in the small compartment on the bottom in one of the corners under a removable panel. I am not 100% sure what that one does but its not the CMOS battery that is involved in the 161/163 error. That one is a small coin type battery that is held onto the bottom of the mainboard with a soldered bracket. That is the battery you have to replace. I am not 100% sure what that one does but its not the CMOS battery that is involved in the 161/163 error. 99% chance it is a RAM back battery to power the machine in standby while the main battery is being replaced. Yes, you guys are correct - the one replaceable, accessible through tiny hatch, is Varta V30H, 1.2V/43mAh NiMH rechargeable cell. The one I have may have been damaged - there is dried electrolite on it, most likely from the main battery leak rather than from it leaking itself but I'm not gonna bet on it still being good. The CMOS battery is soldered on the lower side of the bottom system board, next to the IDE connector and the RAM slot. So far I haven't been able to identify it, and I don't trust my current soldering iron to desolder it without potentially damaging the board. I'll be waiting for a better soldering iron to unsolder the CMOS cell, and hopefully I can identify it to find a suitable replacement. Unless someone already knows the type of batteries that can be used to safely replace the originals? If the white connector on the mobo is all rotted/crusted, you can carefully replace it with one from e.g. a T20/T21/T22/T23 mobo. If I'm not mistaken, that cell is a usual CR2025. I was thinking, would there be any issues instead using rechargable one, like this ML1220 for CMOS battery? It appears to even match the dimentions, though I think (haven't yet been able to remove the solder to see the markings clearly) the one on the motherboard is a BR1225, but I can't find that type with solder tabs and I don't trust my skills to put those on myself without damaging the cell. That said, if it is BR1225 then it's not rechargeable, and I probably indeed will be better off just putting a CR2025 or even CR2032 in there instead. I guess I should just desolder the current one and remove its solder tabs to find out its exact type first. The white connector for the standby backup appears to be undamaged, there wasn't even much electrolite on it to begin with. I found Varta V40H with solder tabs on eBay for that, specs-wise it appears to be a direct replacement for Varta V30H that was originally there. hwattys, TheForgottenKing, RealBlackStuff - thank you guys. The surgery was a success and the patient is making quick recovery. After I've unsoldered the original BR1225 CMOS cell from the bottom system board and replaced it with CR2032 the system shows no more POST errors. The memory error is gone too. It was a bit tricky to fit the much bigger cell in the limited space beside the speaker, but that was order of magnitude easier than finding a replacement bottom planar. Now, I still need to replace the standby battery, but I already got a replacement for it - Varta V40H appears to have close enough specs to original Varta V30H, and I found one with solder tabs. AFAIK though that one ultimately only needed if I rebuild the leaked main battery, then I can swap the two batteries I have without power supply handy. The supplier hwattys referenced was unable to sell me the caddy, they say they don't have any, but I may be able to fix the one I have using some acetone and styrofoam. Again, thanks everyone who helped me bring this baby back to life, this means to me a lot! So glad to hear of your success. I have several lower planars that I now feel its worth the effort to try soldering a new battery in place as it will revive them. I'm kinda jello - if I had a board I could fall back to (and if I could find the right chip) I'd totally attempt the AMD 5x86 mod. Alas, have to make do with original DX4. Unless you'd be willing to sell an extra? On a barely related topic, the original bag that came with it is apparently made of bonded leather rather than split like I originally thought, and it started to completely disintegrate when I attempted to remove the polyurethane coating that has started melting So now I need to figure out a new bag with similar dimensions that I can put all the accessory harnesses into. I saw a guy on eBay selling an x586 boards for a really high price and a leather portfolio for a merely high price....badabum is his screen name I think. I have not counted for a while but believe I have maybe 5 or 6 lower planars. I am not much for soldering I used to know a guy who could do it but kind of lost track. I have an x586 board I got from Bill Morrow that needs a new CMOS. I might consider say shipping the x586 and a couple x486 boards to someone who could do the soldering. The extra board(s) would be payment for the soldering. Can you elaborate on the soldering deal? I think I found a local guy to do the soldering. I have qty. 5 dx4/75 boards and one AMD 586 133 mhz. It was my intention to offer a DX4 board to anyone who would solder on a new CMOS to the 586 board but I am going to try to have the local guy solder new CMOS onto all 6. I will keep the Forum posted. Ah, one extra 'm', that's why I found nothing. Thanks for the pointer! $500+ is a hefty price, but considering it's been a decade since I've been regularly doing surface-mount solder jobs (used to work at electronics R&D startup) it's not too bad - while I can solder a CMOS battery with confidence (BTW, let me know if you decide you want my help) I'm not so sure about a CPU. On an HDD caddy topic - just noticed that the connector appears to be identical to a 16-bit PCMCIA connector. 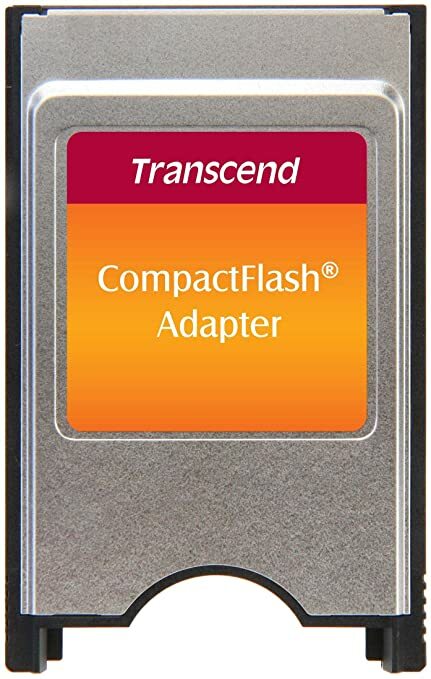 I remember reading something about PCMCIA and Compact Flash card interfaces being somehow related, and then Compact Flash and IDE also... Which makes me wonder if it'd be possible to get a fast CF card if I cannot find a proper IDE SSD that would be small enough for the controller/BIOS not to throw a fit. EDIT: nevermind.. once memory is refreshed i see a CF PCMCIA adapter with a 1GB IBM microdrive in my hard drive and memory drawer..